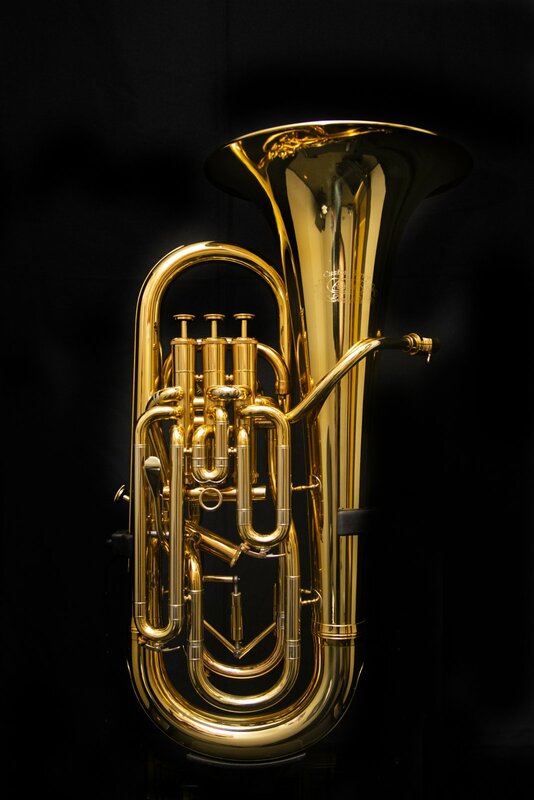 This particular Adams E1 Custom Euphonium is made of yellow brass with a gold lacquer finish, and has a .70mm wall thickness. It features a main tuning slide trigger. The instrument has four compensated valves, and a 305 mm diameter bell.